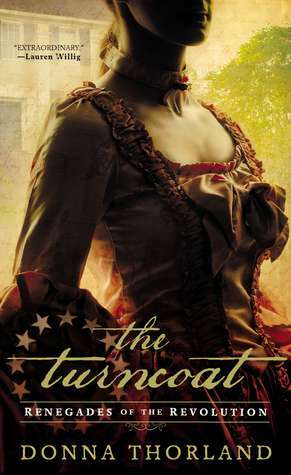 This entry was posted in Soldiers, Spies, Spinsters, Uncategorized and tagged American Revolution, badass couple, beta hero, book review, Donna Thorland, historical fiction, historical romance, Revolutionary War, Revolutionary War spies, RevWar Romance, romance novel, romance review, spy romance, The Turncoat, virgin heroine. This sounds great and I’m adding it to my TBR list immediately! Yay! You have to let me know what you think. You are one of the readers I had in mind for this recommendation… 🙂 Also, Thorland’s next book promises to be pretty intriguing too — set in Salem (but RevWar, not witchcraft). This sounds terrific! And the Jane Eyre-ish heroine is so near and dear to my heart. And I’m fascinated by the Quaker faith. It’s a bit pricey on the Kindle in Canada, but I’ve got a Christmas wish list going. What a wonderful review: it was so much fun to read!